The Algona (Iowa) Plant, which was opened in 1970, produces a variety of pepperoni products. 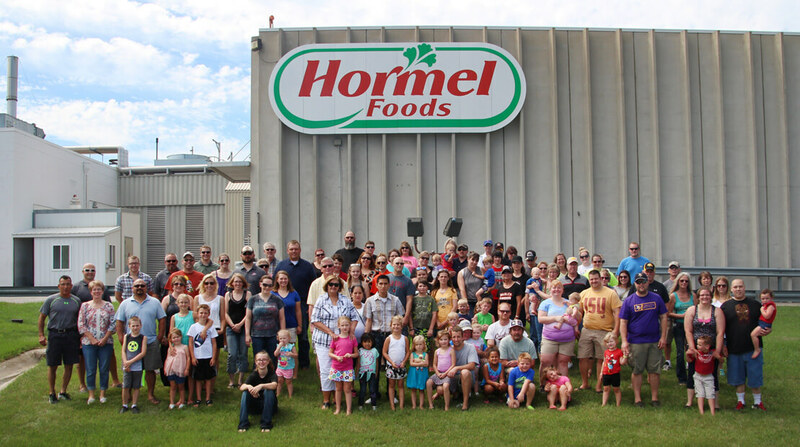 Approximately 250 people are employed at the 150,000-square-foot plant in Algona, Iowa, making Hormel Foods one of the town’s largest employers. Algona Plant employees celebrating Hormel Foods 125th anniversary. The city of Algona has been nicknamed the Pepperoni Capital of the World. Hormel Foods Donation Helps Fight Hunger in Algona The Algona (Iowa) Plant of Hormel Foods donated $10,000 to the Food Bank of Iowa to support the BackPack Program in Kossuth County. Hormel Foods Donation Helps Fight Hunger in Algona The Algona (Iowa) Plant donated $10,000 to the Kossuth County Food Pantry to help combat hunger in the Algona community.